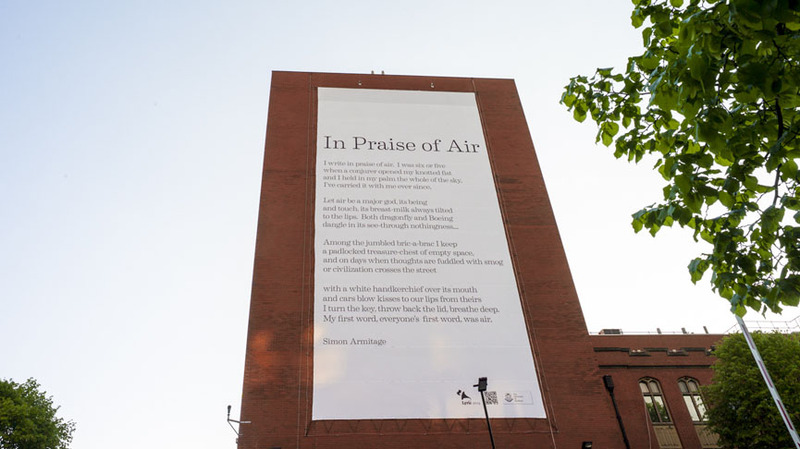 In 2014 England’s University of Sheffield unveiled “the world’s first air-cleansing poem,” four stanzas by literature professor Simon Armitage that are printed on a 10-by-20-meter panel coated with particles of titanium dioxide that use sunlight and oxygen to clear the air of nitrogen oxide pollutants. Kurt Schwitters composed this poem in 1922 to show that musical form can be applied to language. The poem consists of four movements (with a cadenza in the fourth), as well as an overture and a finale. Like music it introduces and varies themes — the first movement, in sonata form, develops four main subjects; the largo and the scherzo both have an ABA form; and themes from the first movement reappear in the scherzo. But fundamentally it’s a work of language rather than music — the performer is speaking rather than singing. 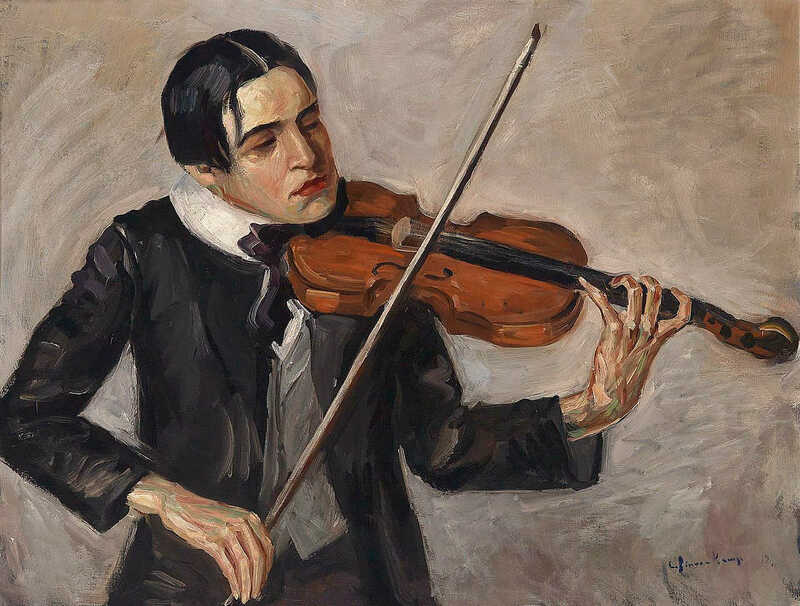 Schwitters said he included a written cadenza for those who “had no imagination,” but he preferred that the performer improvise based on the piece’s themes. Or perhaps ’twas a Nieuport or Spad. And it didn’t seem too bad. His velocity ‘twould beat me to compute. With evidence complete and absolute. In other words — he crashed! To say ’twas a poor RE8. I was in for a bit of hate. 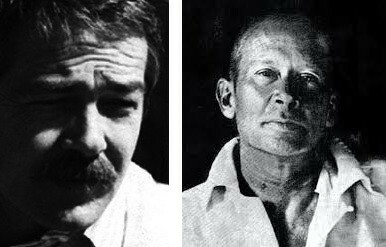 Was rather more exotic than abstruse. Was to see your humble servant duly hung. In other words — I was strung! And there met an Albatros scout. His manoeuvres left small room for doubt. I deemed it most judicious to proceed. In other words — * *** ****! For the purpose of passing her out. 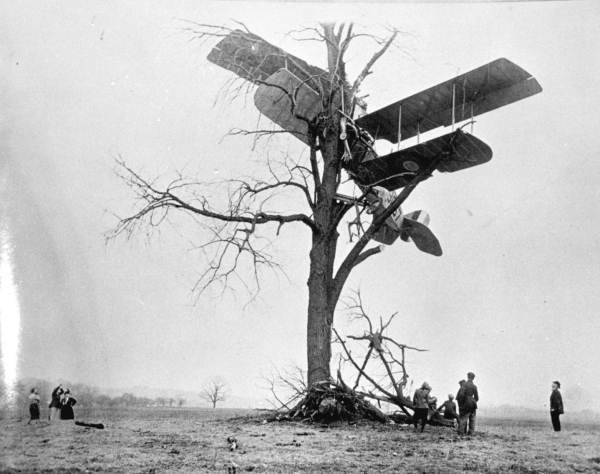 As to whether intact I should land from my flight. I half thought I’d crashed — and half thought quite right! Their stagger and their incidental, too! In other words — she’s pitched! 34 the number of petals on a flower, or the number of curves on a sunflower head, on a pineapple, or even on a pinecone. Tell me how I’m to add two and two! A Möbius strip is one-sided. Could only count modulo ten. A new value of π to assign. point two seven five eight four six three. You get a nice bottle like mine. 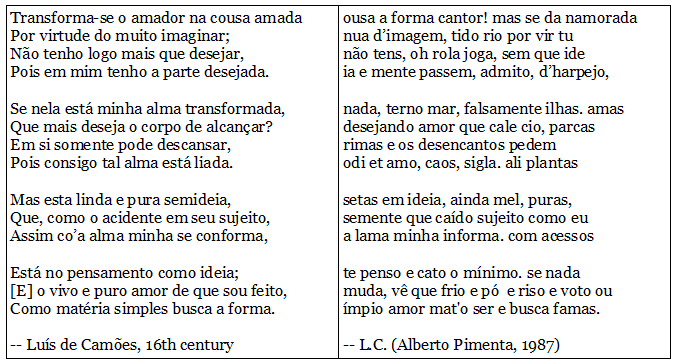 In 1987, Portuguese poet Alberto Pimenta took the sonnet Transforma-se o amador na cousa amada (The lover becomes the thing he loves), by the 16th-century poet Luís de Camões, and rearranged the letters of each line to produce a new sonnet, Ousa a forma cantor! Mas se da namorada (Dare the form, songster! But if the girlfriend). what more can my body long for? since my body and soul are linked. seeks, like simple matter, form. Carlota Simões and Nuno Coelho of the University of Coimbra calculated that the letters in Camões’ sonnet can be rearranged within their lines in 5.3 × 10312 possible ways. Related: In 2005 mathematician Mike Keith devised a scheme to generate 268,435,456 Shakespearean sonnets, each a line-by-line anagram of the others. And see Choice and Fiction.